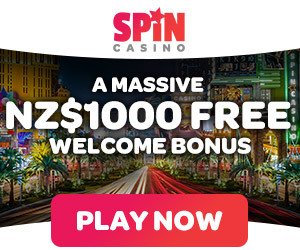 Play Free Wolf Rising Online Pokies Slots Here - Mates Rates! Wolf Rising is yet another wolf themed online pokies game from IGT and it offers some nice features for those looking for a simple video slot. The game does have a large number of paylines, offering players the ability to bet on as many as 100 lines per spin. There is a bonus round as well as a wild and scatter symbol. The game has a nice design and is appealing visually, but does lack some features that would make it an outstanding pokies machine. 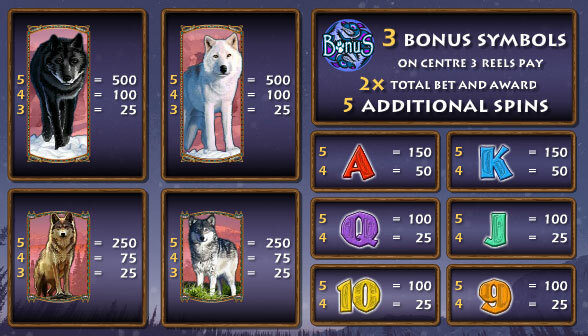 For those that are just looking for a few spins of entertainment with the chance to collect small payouts, this game may be worth some time, but for those looking for large wins and much pokie action, Wolf Rising just does not deliver the goods but anyway try it free right below! The game does make use of some nice graphics and the reels are set on a snowy backdrop. The symbols in the game are thematic and include various wolf symbols along with playing card icons. There are also totem pole icons that can appear stacked on the reels. The game does have a standard wild and scatter. There are no eye popping animations in the game, which is a drawback considering some other video pokies from IGT with 3D graphics. With the 100 paylines available, some may find the game to be a bit on the pricey side. However, it is a penny pokie, so a bet of $1 per spin will enable all paylines for the best chances of winning. The smallest wager is $0.01 and the max is $30, so a maximum bet on the game will cost players a huge $3000. This can draw the attention of some high rollers, but the game payouts may make players think twice. This game only offers a RTP of 94%, (depending on where you play though) so it will not offer the huge and frequent wins that many are seeking. The base game jackpot is set at 1000 coins, though more can be won during the bonus feature when triggered. Aside from the stacked wilds, the bonus feature is the main highlight and it is triggered by getting three bonus symbols on the middle reels. This will offer a 2x instant win of the bet amount and will also present players with 5 free spins. During the free spin round, the wilds will remain stacked and there is a chance to retrigger the feature with three more bonus symbols. This is a nice game for wolf themed fanatics, but the game does not offer anything special. There are low payouts and with just five free spans, the bonus feature doesn’t offer much in terms of rewards. The game is a great choice for those that like the Native American theme. But overall, it is a standard slot with nothing overly exciting to offer. Google + Profile: Tina Lim on April 9, 2015. on September 9, 2016.